From the Main window, click Help, then Send feedback. Tell us about any issues. 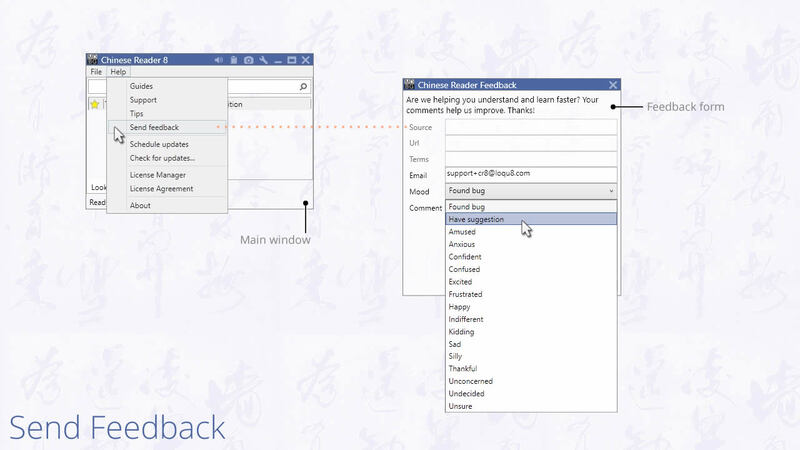 By using this feedback form, we can provide personalized support for our customers (using Chinese Reader Preview, Free, Standard, Professional or Ultimate editions).